Weighing 7.8 ounces (220 grams), the Head Extreme Elite pickleball paddle is powerful and controlled thanks to the unique Head technologies that have been put into this pickleball paddle. The paddle's core is made of an optimized Tubular Construction that has a honeycomb construction for better playability that feels and very solid. The paddle feels very comfortable in your hand thanks to Head's ergonomic foam handle that improves feel so you can make shots with confidence. 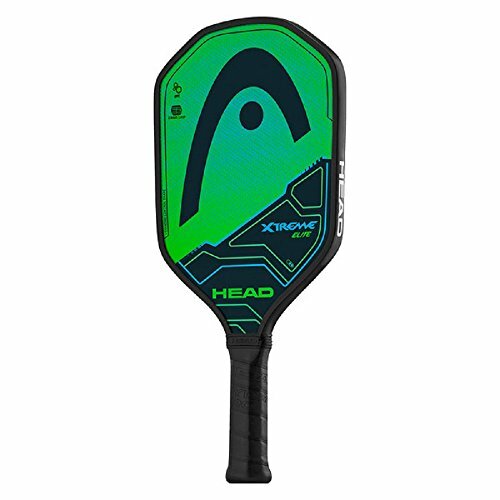 Weighing 7.8 ounces (220 grams), the Head Extreme Elite pickleball paddle is powerful and controlled thanks to the unique Head technologies that have been put into this pickleball paddle.